By the time I had the honor of working with Harini and Aruni, Harini was a very diversified artist. 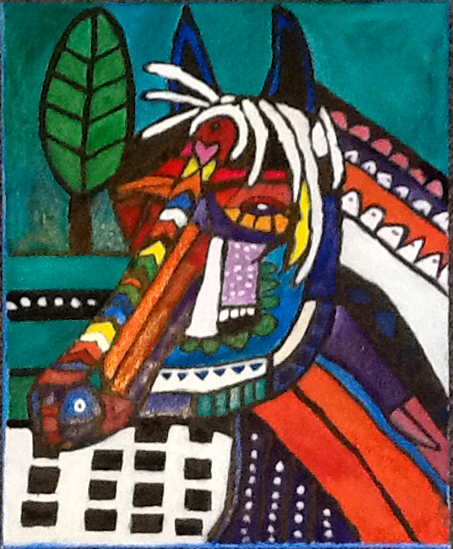 Aruni has said, “It was evident from the beginning that Harini loved and enjoyed color. So she started with color by numbers art, which over the next few years grew to be more complex.” Harini has drawn, painted with many mediums, become an accomplished weaver, was accepted into the weaving guild of New Zealand, and is a force in the kitchen. I am always excited to see an email from Aruni, because I know I will get to see Harini’s newest creation. Last week, I got a real treat! 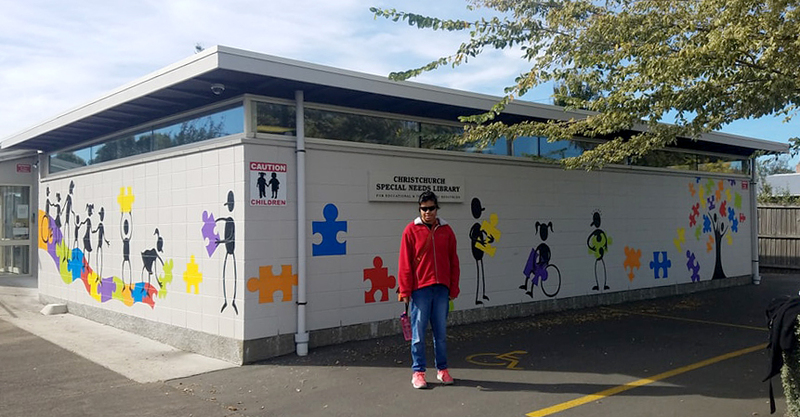 I opened an email to see this beautiful mural, a mural painted on the local special needs library in Christchurch, New Zealand that Harini and a fine arts student, Rebecca, worked on. Aruni tells me that Rebecca did most of the design, but together over the course of 4-5 days, Harini and Rebecca created something very special. I am sure there will be a time when we share Harini’s full journey with you, obstacles, challenges, and tears. But, today I just want to celebrate her! Harini, I am awed by you! I am moved by you! I celebrate you!